* Russian Tortoise ships during the week Monday-Friday with the exception of holidays. * Russian Tortoise has a no return and no refund policy for all retail and wholesale orders. If you need to request a cancellation on an order before it ships to you we can offer store credit. * Russian Tortoise does not guarantee live arrival on inverts or amphibians. * Russian Tortoise ships Next Day Air with UPS. We do not ship venomous snakes with UPS. Please do not ask. Mammals are shipped airport to airport via commercial airlines according to IATA regulations. Airline rates do apply. There is sometimes an additional fee for boxing and/or health certificate. * Live and visibly healthy arrival is only guaranteed when shipping temperatures at both ends are between 35° – 89°F for home delivery and 26F° – 99F° for having the animal shipped to a UPS Customer Center for pick up. We will still guarantee the animal if you opt to have the package held at a UPS Customer Center for pick up however the animal must be picked up within 4 hours of arrival at the UPS Customer Center or all guarantees are void. Otherwise, we can hold the animal(s) at our facility until temperatures are safe for shipping. * Any shipment routing changes on the part of the customer will result in voiding our live arrival guarantee. * All animals have a live and healthy arrival guarantee. We cannot offer any guarantee after the arrival. If your animal does arrive deceased we are happy to ship a replacement to you. We do not offer refunds. * If your shipment arrives deceased, is visibly unhealthy or is damaged in any way upon arrival the customer must notify Russian Tortoise of the deceased or unhealthy animal immediately upon receiving the animal(s). The arrival time will be determined by the tracking information UPS provides online of the delivery. If the first attempt of delivery is missed then all live and visibly health arrival guarantees are null and void. An email with a photo attached of the contents of the shipment must be emailed within one hour of arrival or all guarantees are null and void. 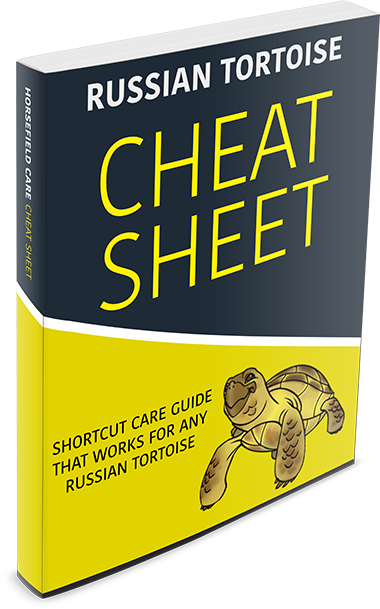 * Russian Tortoise is not responsible for any veterinary expenses or costs incurred by the buyer for any animal. If you take any animal to a veterinarian, you do so entirely at your own expense. * Photos, descriptions and care sheets posted on our web site are the exclusive property of Russian Tortoise, and may not be used or reused without our specific, written permission. 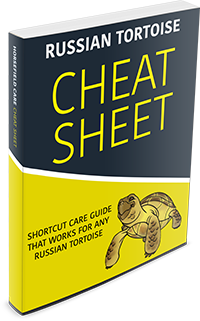 * Russian Tortoise reserves the right to alter these terms and conditions at any time and in its sole discretion.